As he celebrates his 24th birthday, it’s worth asking if there’s anything Mike Trout can’t do. In any case, there apparently is one more thing he can do. 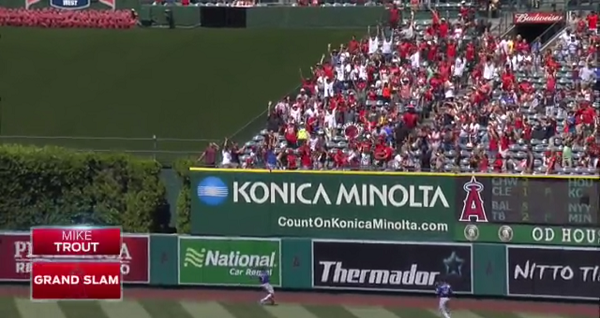 That, to the opposite side of center field. 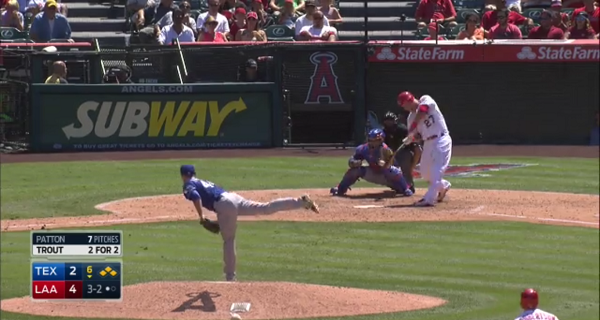 Twice in one game, Trout went deep. 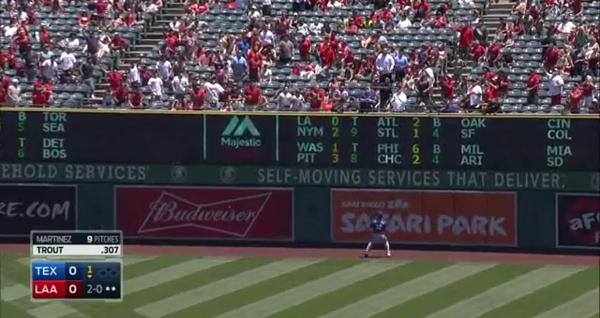 Twice in one game, Trout went deep to what could technically be referred to as the opposite field. 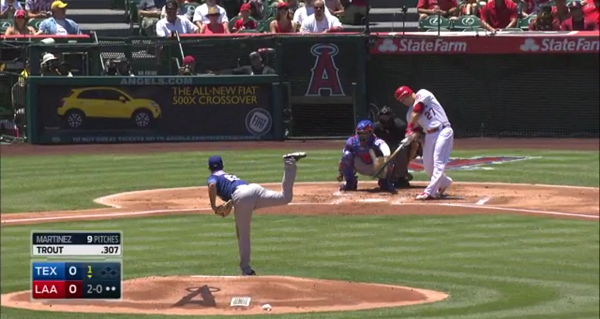 Twice in one game, Mike Trout did that on inside pitches. Intuitively, that seems like a hard thing to do. When you think about it, it follows that inside pitches get pulled, and outside pitches get pushed. That is, generally, the way things go, at least when you’re talking about balls hit with authority. But, see, Trout has learned something. We hoped you liked reading JABO: Mike Trout Has a New Trick by Jeff Sullivan! Learn how to make pitchers hate you too with one easy trick! Congrats, take an upvote. I laughed out loud.